Our most popular service, in which our team manages the process end-to-end and takes out all the hassle. We take full ownership of writing your entry from scratch, using available documentation, interviewing relevant stakeholders, and any necessary evidence gathering. The ideal service for those on a tight budget. We help you plan and storyboard your entry, leave you to pull together a first draft, and then we review it so it is as strong as it can be. Rewriting a good award submission for another award takes half the time it takes to write the entry from scratch. We can revise and repurpose an entry for another award. Many awards have a second-stage in which you are required to give a presentation. We can script and storyboard presentations that will blow the judging panel’s socks off. Judge's comment for a winning entry in the International Business Awards, 2018. We are the world’s first and largest award entry consultancy. 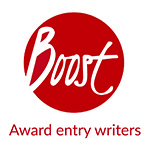 It is a niche specialism, it takes a full year to train as a Boost awards writer – developing a deep understanding of the awards sector, learning to write with flair while thinking strategically. Our win rate is unsurpassed. We are a confidential, silent partner. The award organisers won’t know we have helped you with your entry if you don’t want them to. We are experienced when it comes to non-disclosure agreements and the handling of sensitive information. If we don’t think your story has what it takes to win a particular award, we will be completely upfront with you. We don’t want you to waste your money or time and will suggest more appropriate awards or ways to strengthen your story for future awards. If you book us to write your entry, we won’t help any other organisation to compete against you. We pride ourselves in our ethical approach and only ever enter you into third party award schemes. We see no value in ‘pay-to-win’ awards. We are proud to be founding members of The Award Trust Mark, a not-for profit scheme which aims to raise standards across the award industry and introduces an ethical code of conduct for awards to follow. Plain and simple. Our clients have won over 1,300 awards, across industry sectors and around the world. With our help you can save time and increase your chances of winning the recognition you deserve. We are uniquely placed, with specialists in financial services, construction, HR and digital media to name but a few. Leading multinationals outsource to us because they know we get results and can provide the highest level of support. We have even won awards ourselves. Our team of award writers are ready to help you and your company enter awards. Give us a call today on +44(0)1273 258703 for a no-obligation chat about awards and how best we can help, or if you prefer contact us below. It could be you stood on that stage getting the recognition you deserve. 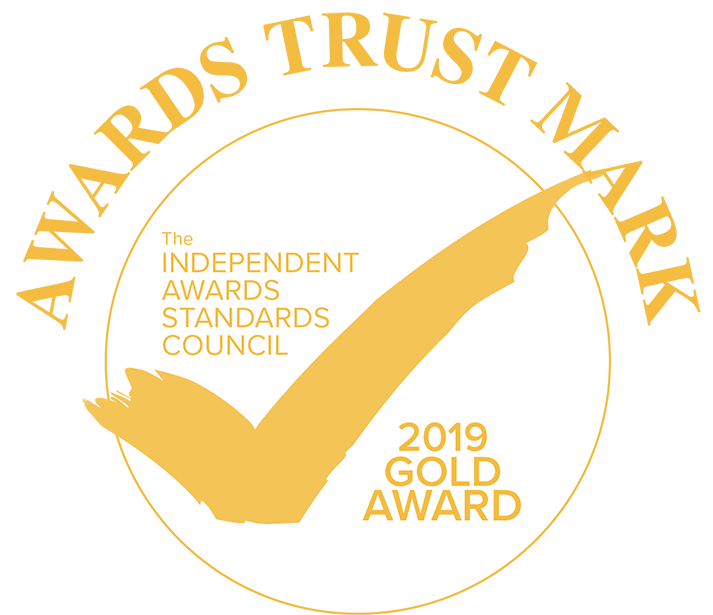 A not-for profit scheme which aims to raise standards across the award industry and introduces an ethical code of conduct for award schemes to follow. See Awards Trust Mark website for details.